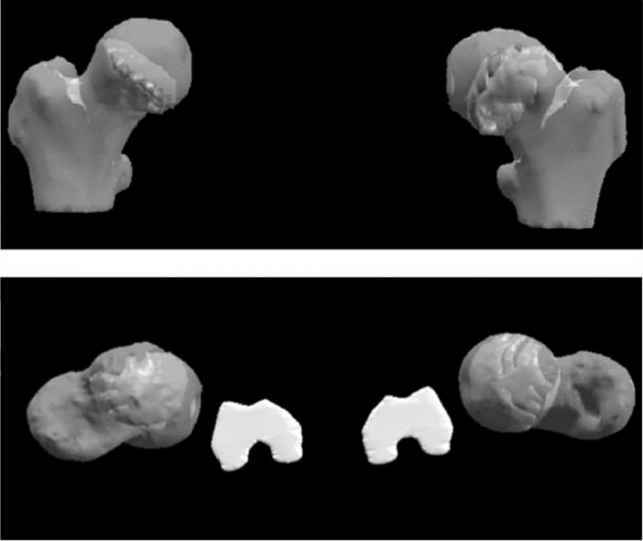 FIGURE 1 Anterior (upper image) and superior aspect (lower image) of a 3D display of a slipped capital femoral epiphysis on the left femur. In the superior aspect a cross-section of knee condyles is seen. See also Plate 38.
images, angular measurements derived from them may have distortions due to the projection . If the positioning of the patient is accurate and reproducible, this problem can be corrected. Yet, appropriate positioning, especially in cases of SCFE, is difficult because these patients usually experience hip pain (note the asymmetrical positioning in Fig. 3). The extent to which angular measurements can be off under clinical circumstances is indicated in Section 3. FIGURE 2 Anterioposterior plain radiograph of both hips with a SCFE on the left hip. Sketched on the image is also the way to determine the shaft-neck (red, right hip) and shaft-physis angle (blue, left hip). 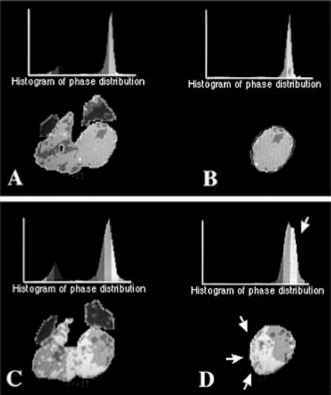 See also Plate 39.
comparison between measurements on 3D computer models and axial CT images because the latter do not address the entire three-dimensional problem. A complete solution may be obtained with 3D computer models and related angular measurements.